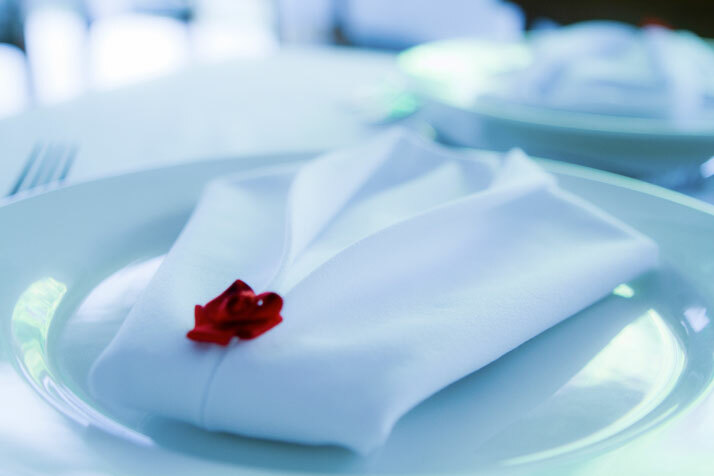 In her latest adventure, Tcherassi will bring this delicate balance to the world of hospitality. That’s right, as if the successful businesswoman, author, UNICEF advocate, and internationally recognized designer wasn’t busy enough, Tcherassi launched the Tcherassi Hotel Collection in partnership with CF Hospitality in 2007. The first property, The Tcherassi Hotel & Spa, was built over the past two and a half years most fittingly in the place of her birth, the Colombian Carribbean. 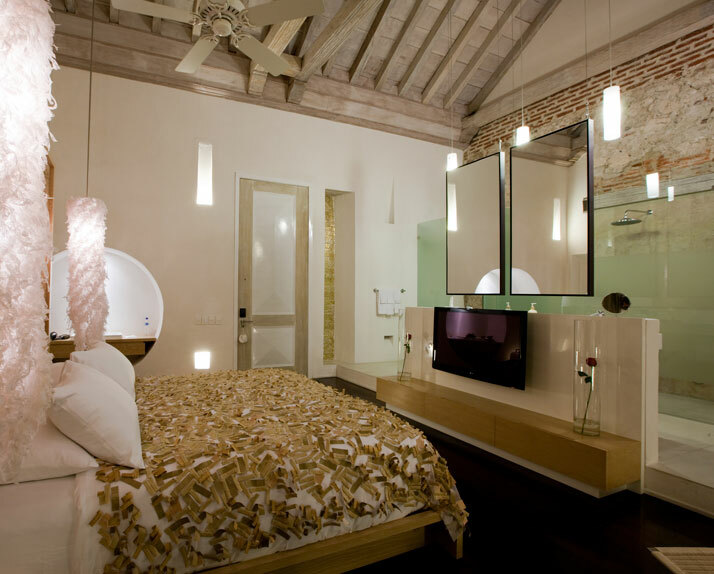 For Tcherassi, the move into hospitality was a natural progression “Fashion and hospitality are both businesses totally committed to the creation of new experiences and new sensations; trying to awaken the inner senses of each person, whether through a new style of clothes or a perfect stay in a beautiful environment.” And the Tcherassi Hotel & Spa in Cartagena, Colombia is indeed, a beautiful environment. Much like in her runway collections, Tcherassi has a gift for evoking an effortless, natural environment while color, sharp design, modernism, and tradition manage to somehow exist in harmony. 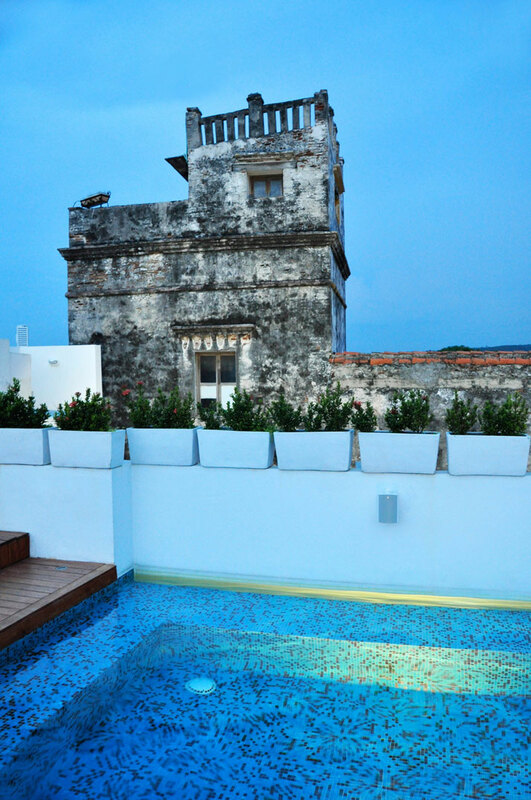 The Hotel & Spa was built in the center of Cartagena’s old city in a restored and renovated 250-year old mansion. While the renovations were extensive (it took two years), the charm of the mansion was maintained and as a result the hotel could be called “boutique” since it has seven rooms and suites –each one different from the next. Adept use of texture, space, and good taste abound. 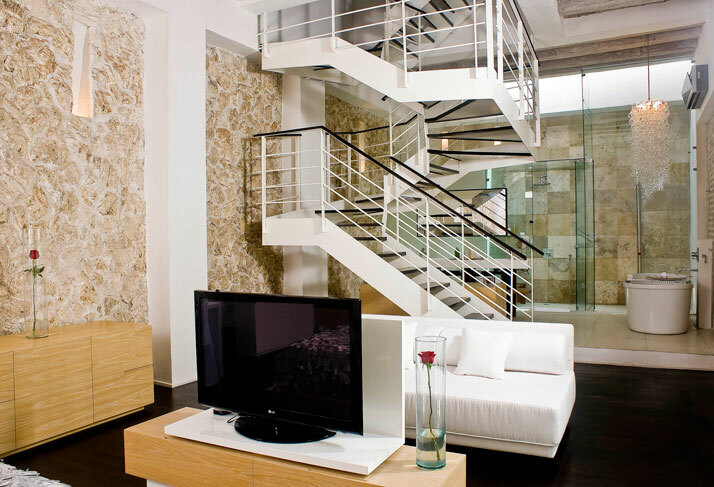 The bedrooms and bathrooms are wide open and airy; the private terraces, glamorously private. The details are breathtaking; the lone red rose commanding attention in front of an exposed brick wall in the Organdie room, the gold iron gate that greets you in the front of the hotel, and the lighting in the outdoor garden at night are only a few that make the experience magical. 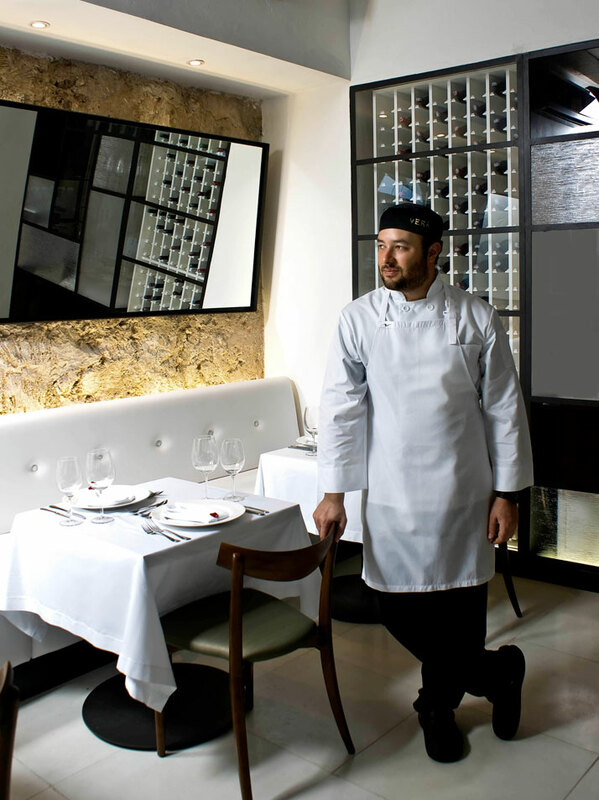 There is also a spa and a super chic Italian restaurant and lounge called Vera. 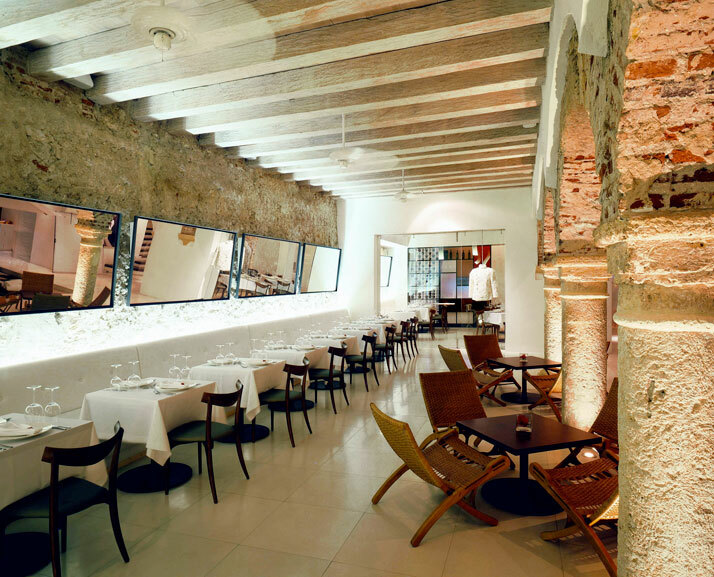 The wooden beams that make up the ceiling of the restaurant are rescued Colombian Guayacan and Ceiba. The restaurant space begins indoor and a long white banquette stretches out into the garden area giving guests the option to eat outdoors or inside. 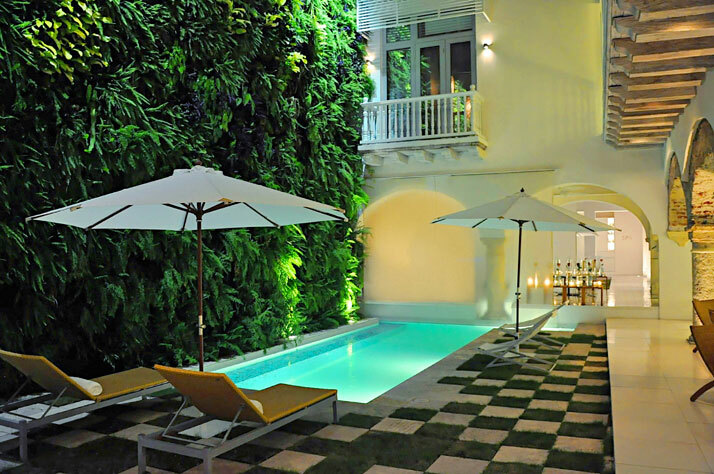 Elegant, rich in personality and culture, and inviting, the Tcherassi Hotel & Spa in Cartagena de Indias, Colombia, is very much like the old city it stands in.